There’s an important official inquiry under way at the moment into allegations of official involvement in the covering up of child abuse on the island of Jersey. A key witness is a former police Senior Investigating Officer – Lenny Harper – who has been very critical of the Jersey government’s handling of the allegations. Mr Harper’s confidential witness statements – which could contain the names of officials alleged to have been involved in the cover up as well as the identities of victims – were strangely sent to him by unregistered post instead of by secure courier. The envelope containing them was opened by unknown people. 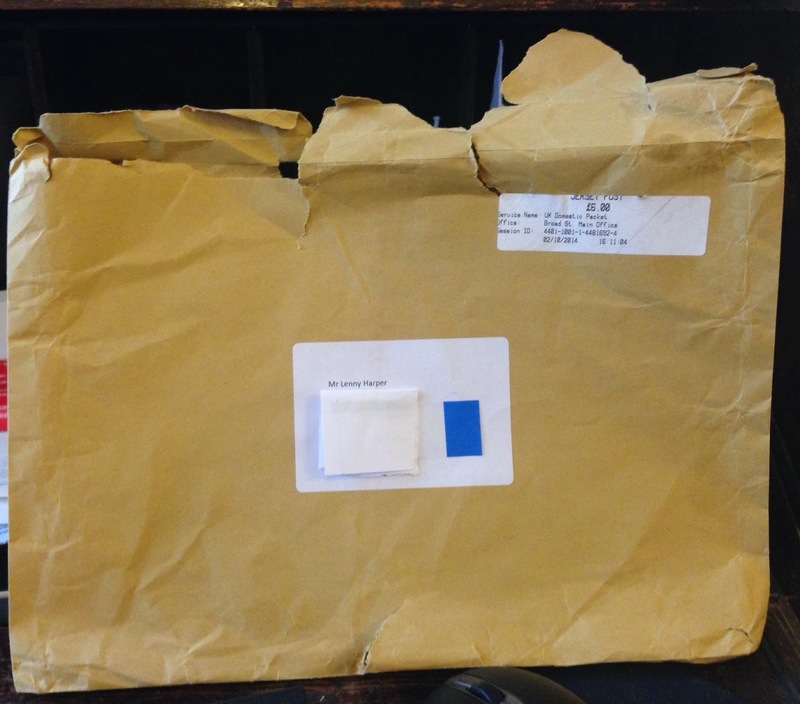 The Royal Mail say the envelope was opened before they received it, which means it must have been opened when it was in the hands of the Jersey Post. A company which is owned and operated by the very same Jersey government being investigated by the inquiry. Of course, it would be very useful for any official person who is being accused of a cover up to have copies of witness statements against them. It would also be useful to know the identities of the victims who are prepared to speak up against them. This is – of course – a scandal. But don’t expect to hear much about it from the mainstream press. JERSEY CHILD ABUSE INQUIRY – SERIOUS BREACH OF SECURITY? You can also follow Rico Sorda on Twitter for regular updates. Are those two weirdo borthers — allegedly owners of a British daily newspaper — involved? We stumbled over here coming from a different page and thought I might as well check things out. I like what I see so now i am following you. Look forward to checking out your web page for a second time. and so it continues …. Corruption throughout British society and the mainstream press – not a whisper …. I wonder what’s missing from that envelope. Tweeted this to some media, let’s see what happens (not holding breath but why not make ’em twitch a bit?) Thanks Tom Pride. You can’t expect penpushers to get anything as simple as an address correct now can you? On a more serious note, officials tend to do what they are told, so any corrupting influential figure can use them to their own advantage. Hi Dear, are you really visiting this web site daily, if so then you will absolutely take good knowledge. effective choice on the low-end, nevertheless the Nvidia GTX 560 is a competent mid-range competitor. accessories which make great gifts. everyone and through this site you’ll be able to find it. warranty of repair and replacement. instances wherein your puppy might neglect to comprehend its normal boundaries. nationality and where he lives. We went time for our room to consume the sandwiches, combined with complimentary orange juice through the minibar. verifiable (according of purity) and tradable.